The DnB producer wants everybody to remix Unleash The Wolves! 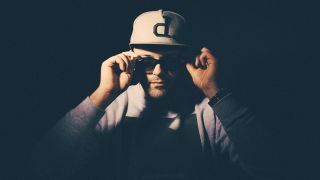 Kicking off a Reddit Ask Me Anything session on Wednesday, Underground DnB don TC announced that he was making his latest album available - in its entirety - for all to tweak, remix and mess with, via a download of stem tracks. "From the moment I set out to make Unleash The Wolves I wanted to continue in the spirit of many of my other tracks by giving away the parts to the whole album," says the producer on his website. TC has also invited producers far and wide to submit remixes in the hope of them being released. Head to TC's website to bag the Stems for all 11 songs on Unleash The Wolves now. Unleash The Wolves is out now, and is also available in the "traditional" download and streaming formats.